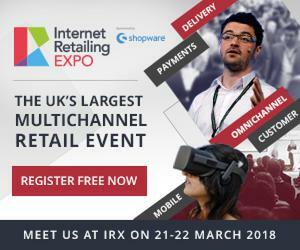 The 21st and 22nd March sees the UK’s largest Multi Channel Event, Internet Retailing Expo return the the NEC in Birmingham and StoreFeeder will be there!! We will be there speaking to people about StoreFeeder and giving demonstrations of our brand new PDA’s with the WMS functions! Come along to Stand D51 and say hello as we also have some freebies to give away!! StoreFeeder in under 10 minutes…. Our Head of Sales, Karl Ciz, has been busy!! He has produced a short, 10 minute video clip showing all the great features StoreFeeder can offer. No idea how he crammed all the great features and tools into a 10 minute video, but he did!! So make a hot drink and take 10 minutes to watch the video and find discover the key concepts and features StoreFeeder offers. Of course, if you want to see more detail, get in touch and we will be happy to answer any questions or give you a fuller demo of the software.